Do you have a hard to shop for man on your gift list? I’m sharing a couple of ideas this week that will help you put together the perfect gift for him. 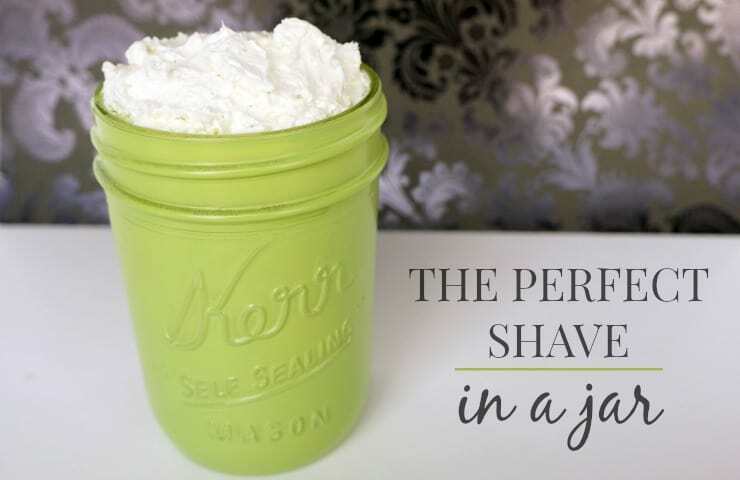 Today’s post is all about the gift of a perfect shave, in a simple and pretty mason jar. Because everything is better in a jar. 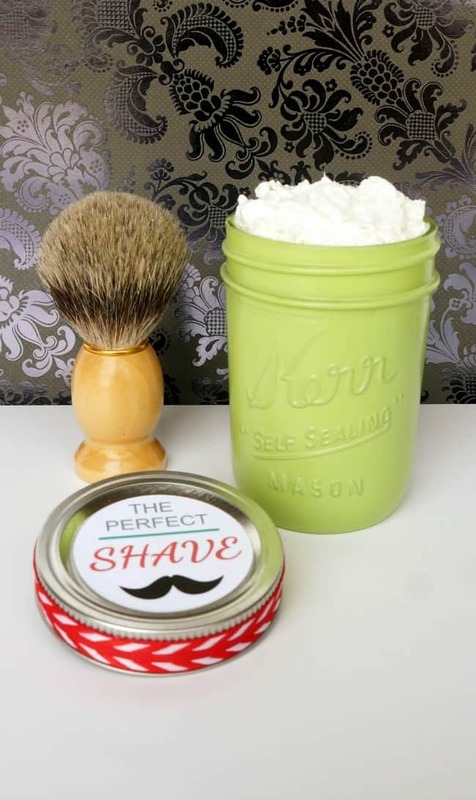 This shave jar is sure to give him a close shave and smooth skin. Whip up a batch of this homemade shaving cream and pair it with a few essentials for the perfect manly gift. If you love mason jars as much as I do, you are in for a treat. Today my very talented friends are all sharing Christmas themed mason jars for Mason Jar Monday. Be sure to scroll all the way down and check them out. These links are affiliate links, you can view my full disclosure policy here. Melt the shea butter and coconut oil separately in the microwave or a double boiler. Once liquid, combine them in a bowl and stir in the olive oil. Put this mixture in the refrigerator for 10-15 minutes until it begins to solidify. Once soft and cool, whip the mixture with a stand mixer for 3-4 minutes. Scrap down the sides as you go to ensure you incorporate all the ingredients. Add your essential oil as you mix. 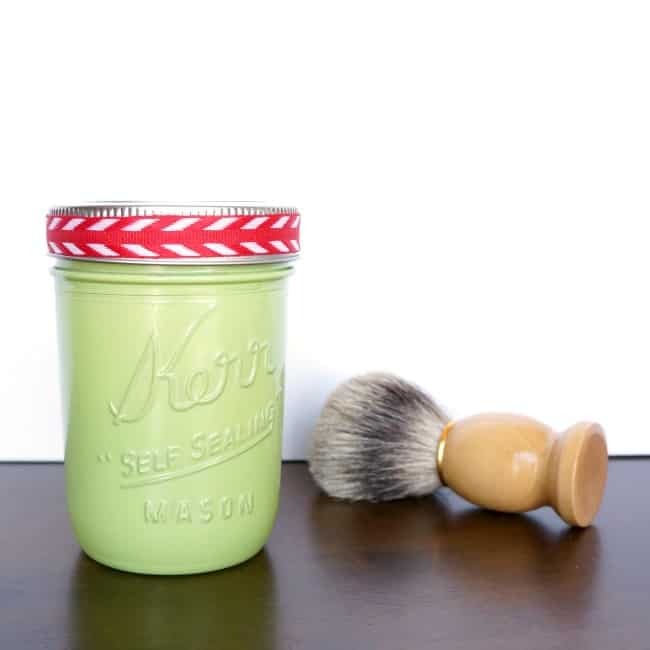 To make this shave jar pretty, I used a small mason jar and painted it a soft green. I wrapped the lid in candy cane striped ribbon and added a simple tag to the top. 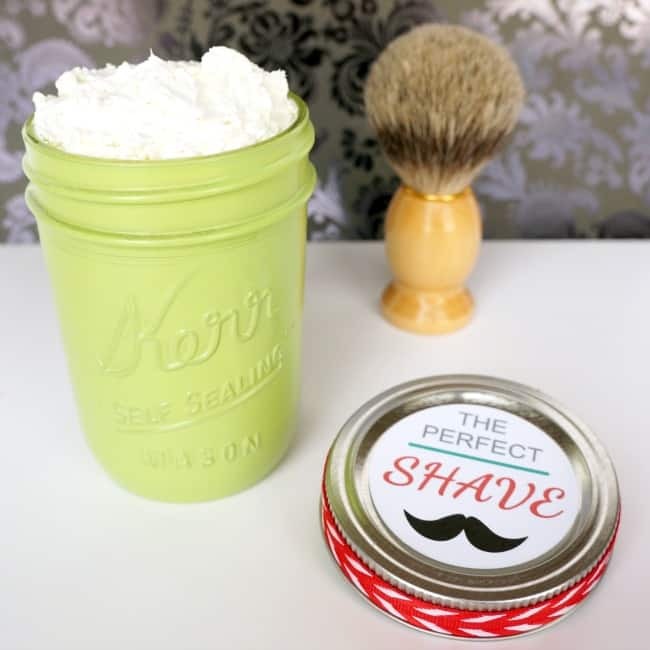 Pair this jar with a shaving brush and a nice razor, your man will appreciate a little luxury and a perfect shave. You can also box your shaving cream in this Engraved Wooden Shave Box. Ready for some more mason jar inspiration? 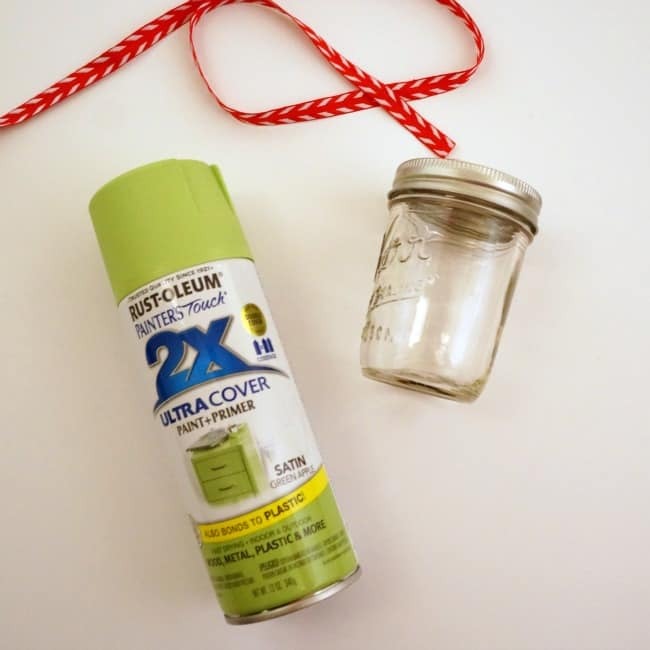 Take a look at these beautiful holiday mason jar projects. Mason Jar Monday: Christmas Edition. Please make sure you visit each of these blogs to see each of these fabulous projects.